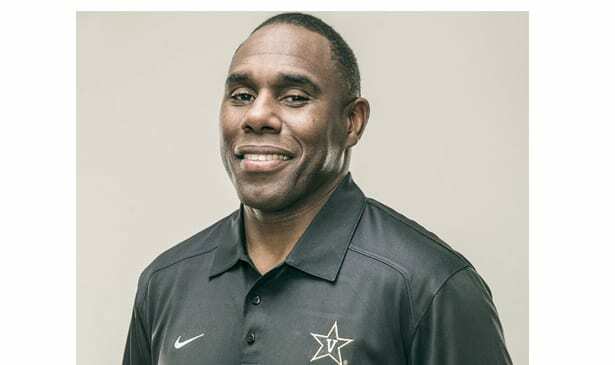 After last season’s dramatic turnaround that included a victory over Tennessee and a bowl trip, it seemed Vanderbilt head coach Derek Mason had finally dispelled the doubters who felt he was the wrong person to replace James Franklin in that role. While Franklin was glib and congenial, Mason is a straight shooter with little use for either clever clichés or lofty phrases. Franklin was an offensive guy, Mason a defensive one. Franklin twice was able to get Vanderbilt to nine win seasons and once even had them in the Top 25. Thus far, no Mason team has been able to do that. But while Franklin was utilizing that success to earn himself a new position at a more glamorous football school in Penn State (though in fairness he is an alum) Mason has never looked elsewhere, nor sought to use whatever plaudits his team gets to improve his position on the open market. He’s most definitely among the top defensive minds in college football, as past Vandy teams under him have proven. Yet there’s never been any talk about him trying to land an NFL defensive coordinator job, or even making a lateral move to another school. He is through and through determined to see Vanderbilt achieve great things. Empowered with a contract extension after the Commodores posted four wins in their last six regular season games, things were looking really good early for Mason’s team. They roared off to a 3-0 start, and got some national attention for a 14-7 home win over then nationally ranked Kansas State. Then Alabama came to town for a nationally televised game against the Commodores, and the wheels promptly came off the wagon. Until Saturday, there were five straight games in which the Commodores not only lost, but for the most part weren’t competitive. They gave up over 50 points not only to Alabama but to Mississippi, a team that doesn’t even have a fulltime coach at the moment, and is about to get its doors blown off by the NCAA in the wake of the (since departed) Hugh Freeze debacle. Even when Franklin had Vandy rolling, Nashville remains a city of divided loyalties, with plenty of UT fans here, and a decent dose of MTSU and TSU fans also part of the general base. Add in the continuing cynicism and doubts that some Vandy loyalists have expressed, and it makes things tough for Derek Mason and his staff, though they continue to put a good public face on everything they’re doing. No one wants to think that some of this may also have something to do with the fact that Mason isn’t just a Black coach, but one who doesn’t try to be anything other than who and what he is. He’s not someone from the elite ranks of Black society. He’s a regular guy who looks and talks like the football lifer he is. Hopefully, the city will get behind him, and Vandy can get two wins in their final three games and become bowl eligible. Otherwise, the environment going into 2018 will be anything but favorable for both Derek Mason and the Vanderbilt Commodores.